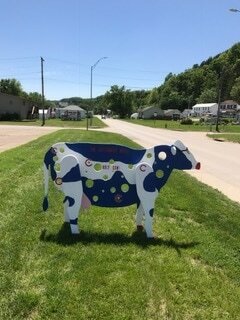 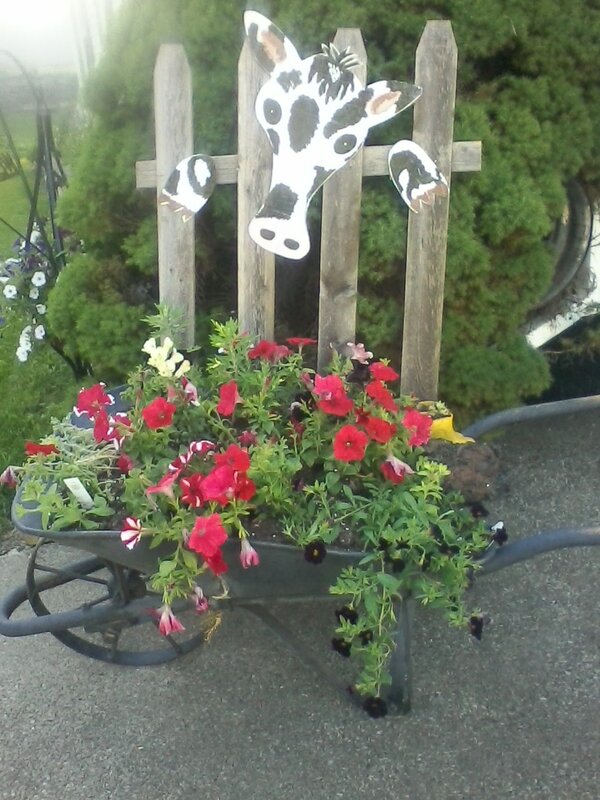 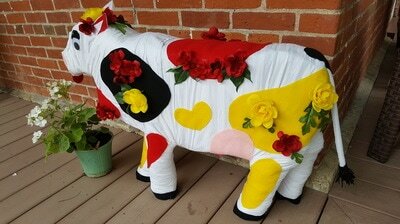 2017 project: In honor of the Ingleside Club and their great accomplishment and the 115th anniversary of their incorporation, Umbrella Arts announced a cow theme for its fourth annual community sculpture project. 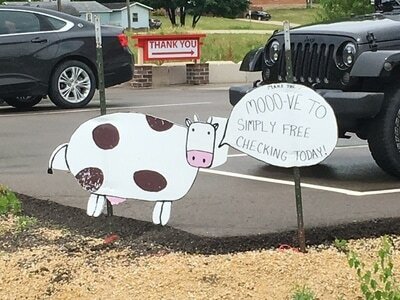 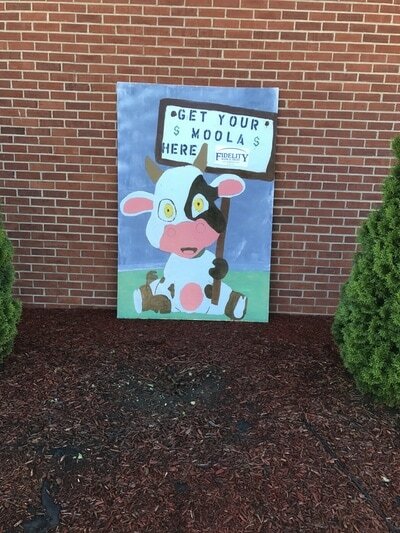 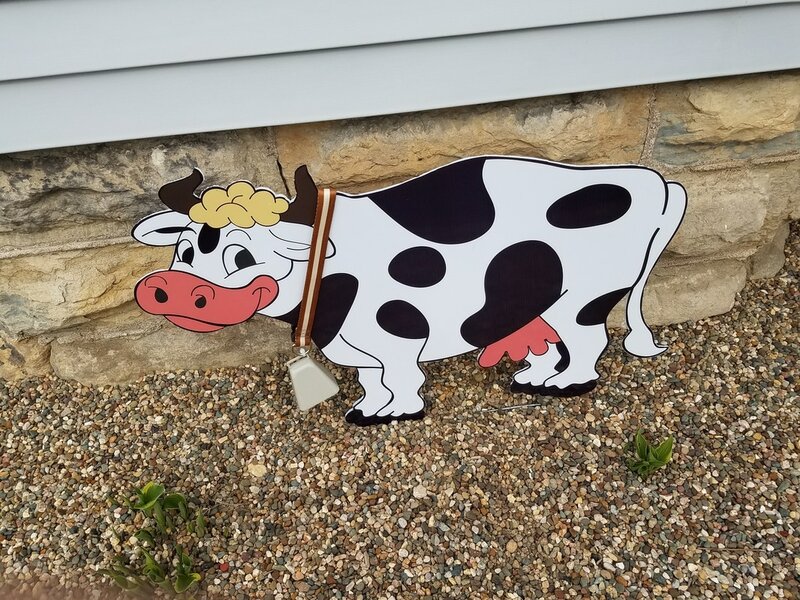 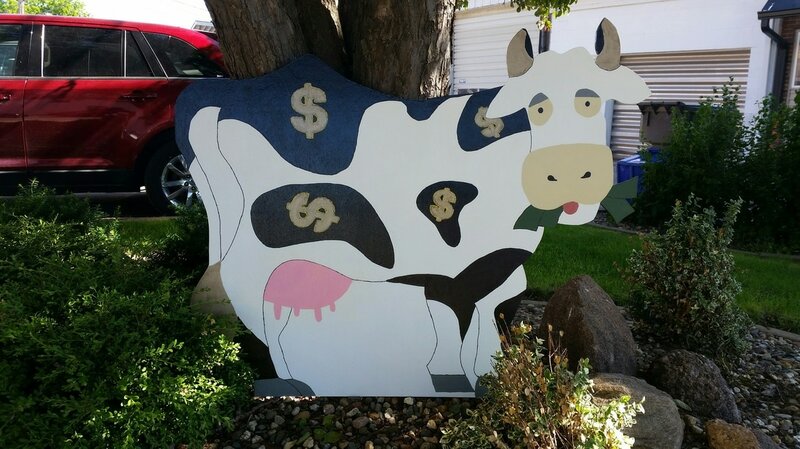 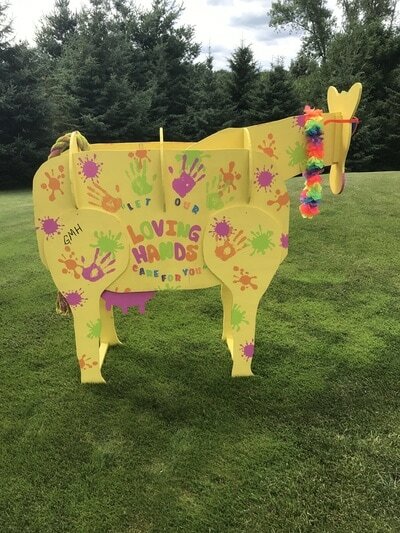 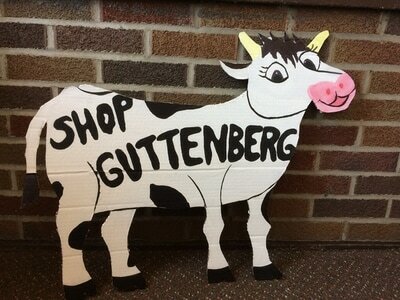 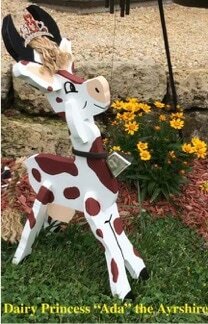 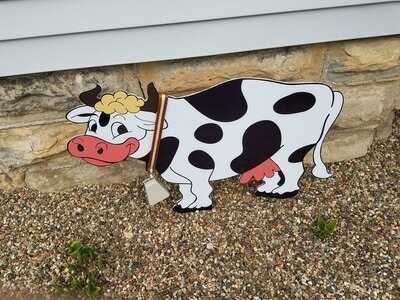 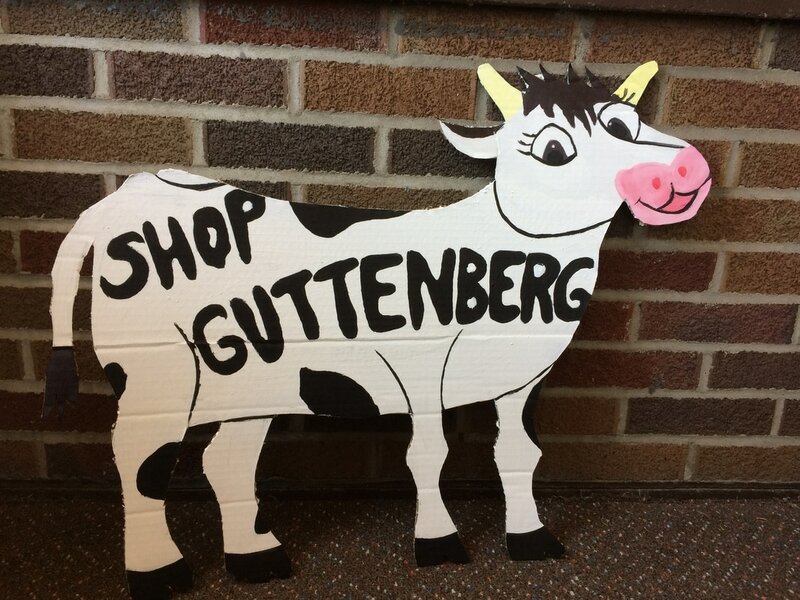 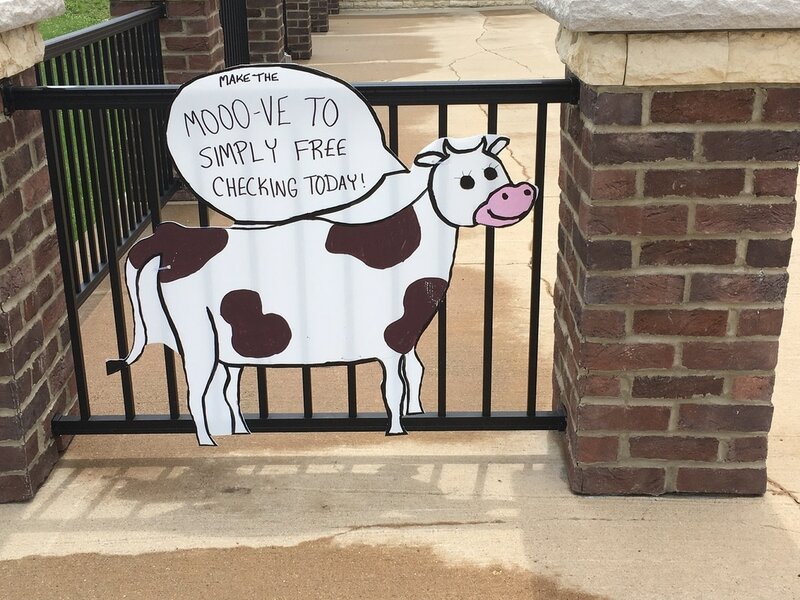 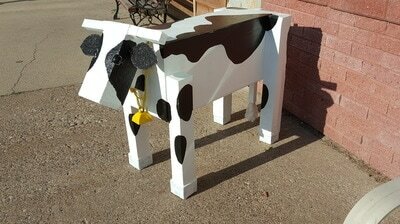 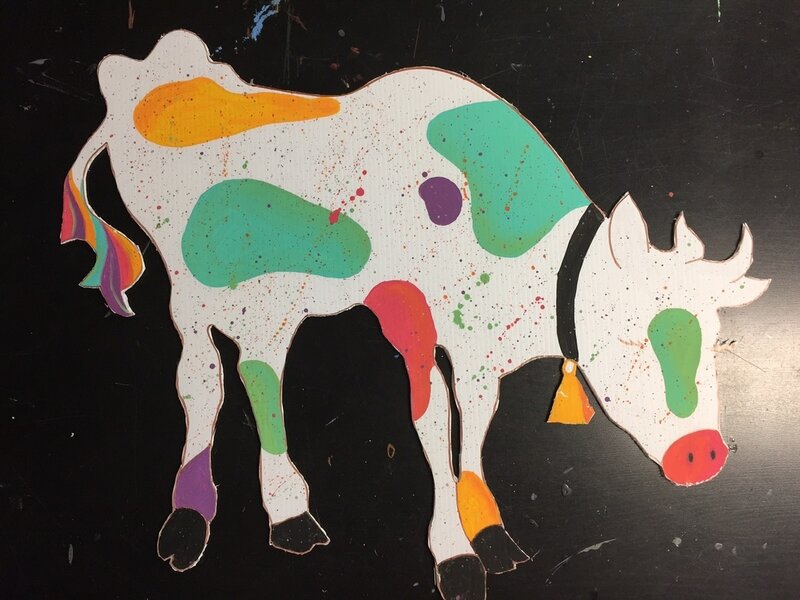 Community members, organizations and businesses are invited to create cows from wood, metal, corplastic (available at AutoTek), or other material of their choosing. 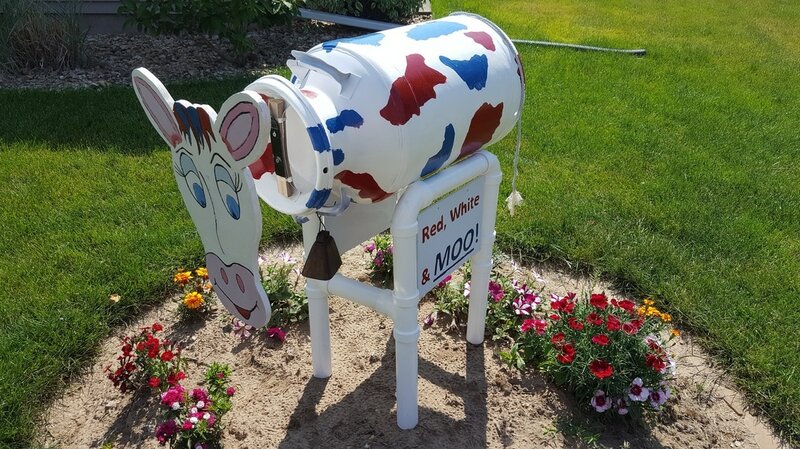 Sculptures can be three dimensional or flat and must be submitted by June 23. 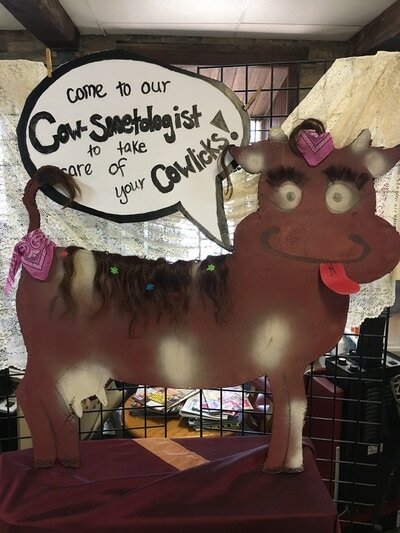 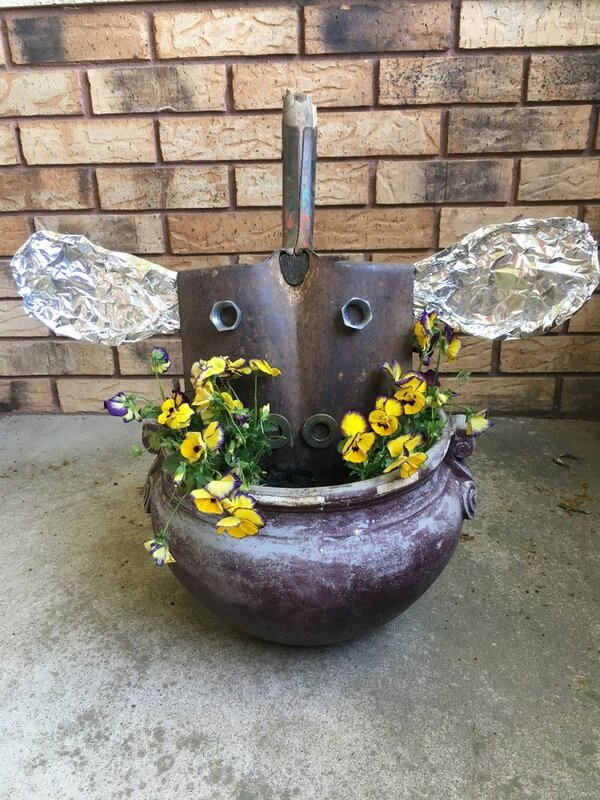 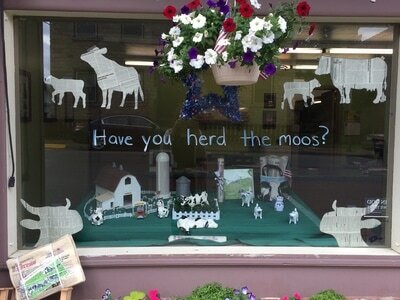 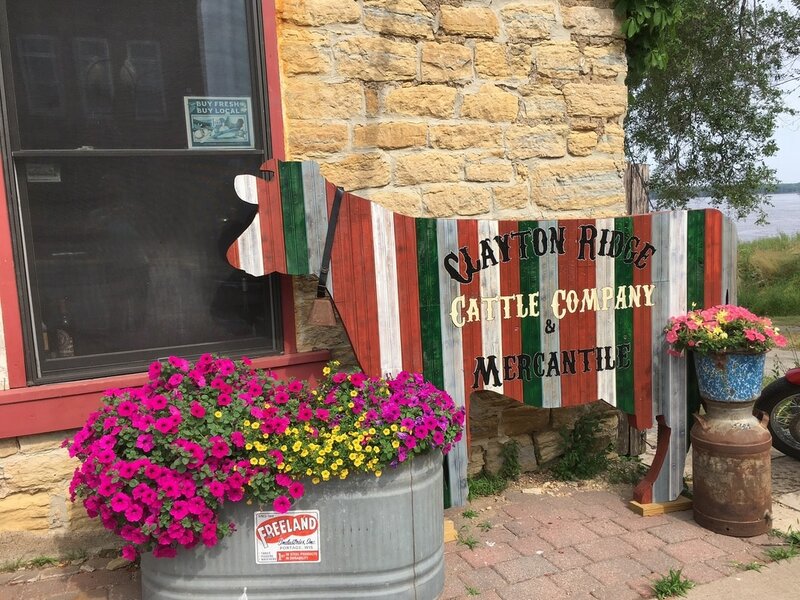 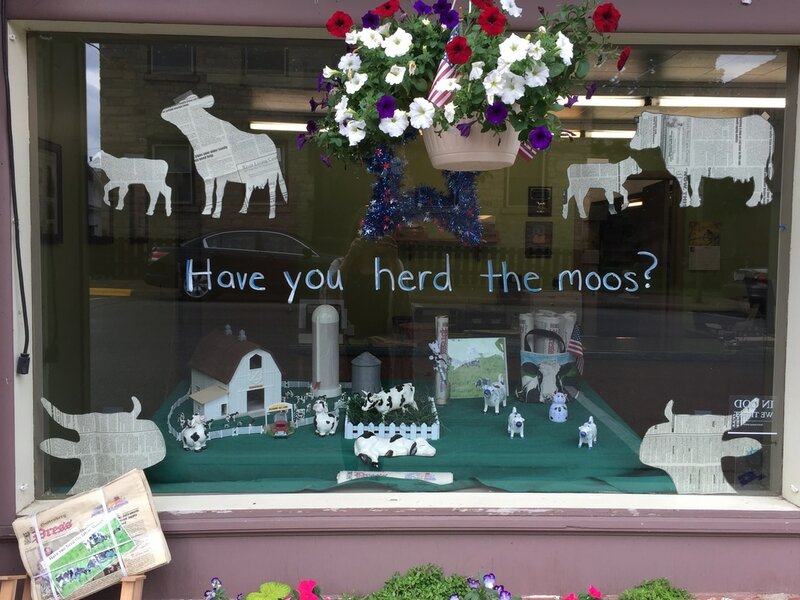 “Cow sculptures are invited to be part of the June 30 River of Music concert, where Uncle Sam’s Band will participate in a half-time celebration,” said Juanita Loven, founder of Umbrella Arts and member of Ingleside Club. 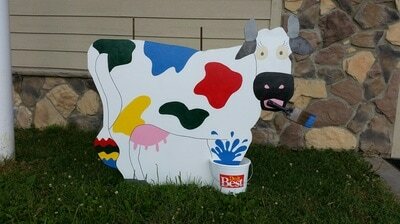 Finished sculptures may be brought to Ingleside Park for the evening to commemorate a time when cows roamed the park. Photos of the sculptures created by participants are below. 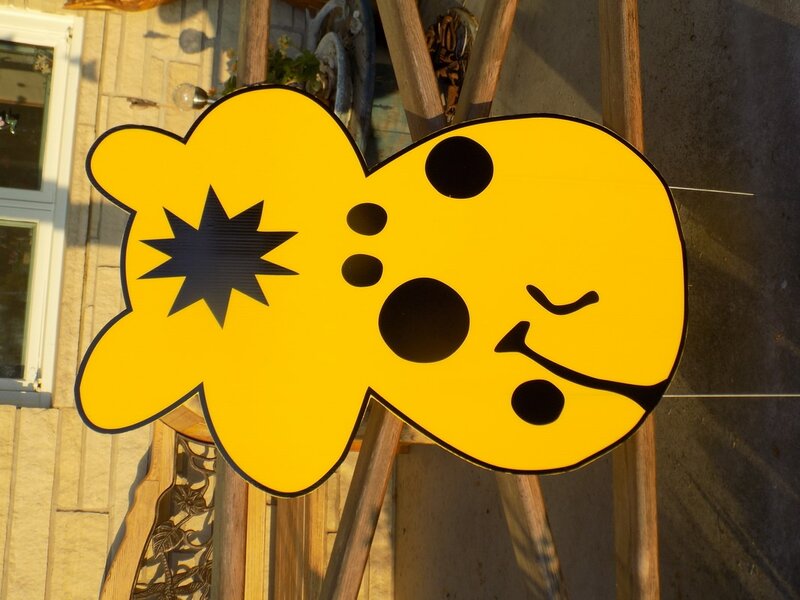 Click the thumbnails for a larger image and please note that there are two sets of photos here for a total of 19 entries - make sure to scroll down to see them all!